Lenovo K920 is a beast when it comes to its features. Constructed with unibody metallic design, it boasts an astonishing 6-inch Quad HD (2560 x 1440p) display like what we’ve seen with LG G3 and Oppo Find 7 panel. It’s powered by 2.5GHz Qualcomm Snapdragon 801 quad-core processor and clubbed by 3GB of RAM. On board-memory is set on high bars at 32GB for your multimedia files, however there’s no word yet if it’s going to have an expansion option. With a bigger and brighter panel, the device is backed-up by a 4000 mAh battery to keep in order for it to have long mileage. When it comes to optics, Lenovo equips the device with 16MP camera with Optical Image Stabilization for clear and high quality captures. The phone also houses a 5MP front-facing camera for selfies. It’s LTE-capable with dual-SIM functionality and supports NFC connectivity. This 7.7-mm thick handheld is a good head-tuner for those wanting to have more performance on their phones. There’s also a GPS and A-GPS support for your location services. With its caliber, it is certainly going to have the latest Android KitKat OS. 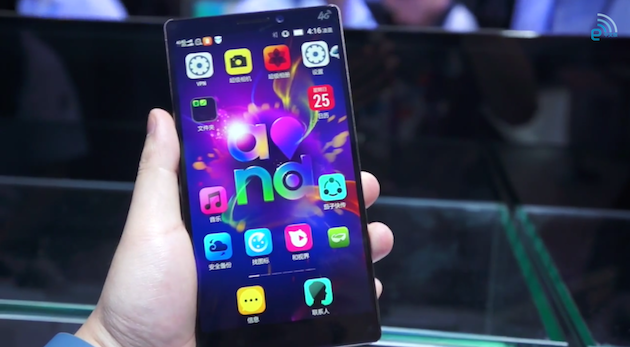 The newest Lenovo smartphone was revealed at the Mobile Asia Expo in Shanghai. For now, it will be a China Mobile exclusive but it looks like this phone is going to have an international version as Vibe Z2 Pro, successor of Lenovo Vibe Z.